Every business in the world can benefit from improving energy efficiency and data centers are certainly no exception. If anything, data centers are the prime example of the importance of a constant effort to improve energy efficiency. Energy usage is very costly and energy waste is bad for the environment so every measure to increase efficiency in a real and sustainable way is a significant improvement. 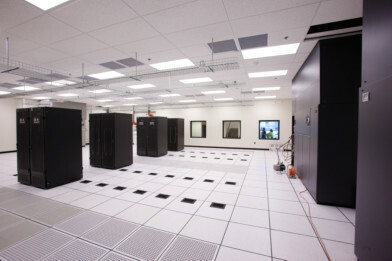 One area to target when improving energy efficiency in just about any facility is the Computer Room Air Conditioner/Computer Room Air Handler (CRAC/CRAH) units. There are a lot of theories and strategies when it comes to proper cooling. The focus always has to be twofold: to improve energy efficiency while still maximizing uptime in a mission critical facility so that it can perform its vital task to the best of its ability. Uptime cannot be sacrificed in the name of efficiency so a way to improve efficiency must work within those parameters. With new technology that is constantly evolving, the two goals and focuses: maximizing efficiency while maximizing uptime do not have to be mutually exclusive. Whether you are making improvements to a legacy center or maximizing efficiency in a new data center build, there are always ways to make improvements. One of the most effective ways to make improvements when it comes to the efficiency of a data center’s CRAC/CRAH is to properly implement hot and cold containment systems such as a hot aisle/cold aisle layout. Data Center Knowledge discusses the importance of keeping hot air and cold air separate in a data center, “Air mixing is the enemy of effective cooling. In-row or close-coupled cooling solutions greatly reduce air mixing by closely coupling the IT equipment’s hot air discharge with the CRAC/CRAH’s hot air return and the CRAC/CRAH’s cold air supply with the IT equipment’s inlet. Additionally, close-coupled CRAC/CRAH units have the capability of varying their airflow, thereby balancing their supply CFM commensurate with the CFM requirements of the IT equipment using either temperature and/or pressure as a control. Air mixing can further be reduced by implementing partial hot-aisle containment by deploying air containment curtains and/or doors at the ends of each “hot” aisle.” Additionally, evaluate what the ideal temperature is to maintain efficiency without compromising efficiency. While traditional school of thought is to keep a facility as cool as possible, by maintaining a temperature of even a degree warmer may still keep all infrastructure functioning properly but can dramatically improve efficiency. Lastly, if improving efficiency in a legacy center, a hard look should be taken at mechanical systems. Upgrading a CRAC/CRAH system is a relatively economical option and may make a dramatic difference in cooling efficiency. Many CRAC systems can even be retrofit with Variable Frequency Drives (VFDs) that allow air conditioning units to work at different energy loads depending on the varied programming that has been predetermined for the data center. This conserves energy during low demand times but still meets energy requirements at all times. While there are many more ways to improve energy efficiency for CRAC/CRAH systems, the specific needs of a data center will determine what the best approach is but any energy efficiency improvements are a step in the right direction.